I am thankful to eUttaranchal matrimonial /Byoh team. I met my better half through them only. The journey started in 2018 when I first saw her profile at Byoh.in. Then we exchanged some chats and advanced to family meetups. We got engaged on 8 July 2018 and wedding day came soon on 22 Feb 2019. My life has become more beautiful with her. Thank you guys !! My heartiest thanks to the team of BYOH /eUttaranchal Matrimonial for providing this beautiful platform. 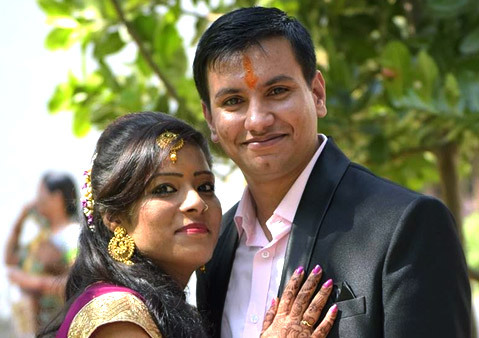 I met Yogesh on this website and it didn't took us long to tie the knot as we got engaged on 17th August 2018 and got married on 19th January 2019. I would definitely recommend this site to my relatives and friends. Fortunatly Mr. Negi and I met via byoh.in (Uttrakhand Matrimonial); Yes ! That's true. 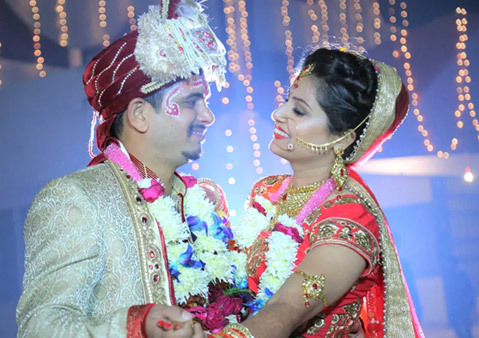 Finding a perfect life partner through matrimonial site is really a difficult task and full of confusion (whom to accept or not, take it forward or not etc ). But I am very lucky person that he found me when I was looking for him. Thank You! I registered on 17th Nov 2016. Finally we got married on 8th February, 2018 ( beautiful day for us). Now we both are very much in Love and happily married . People fall but we are rising in Love with each other. 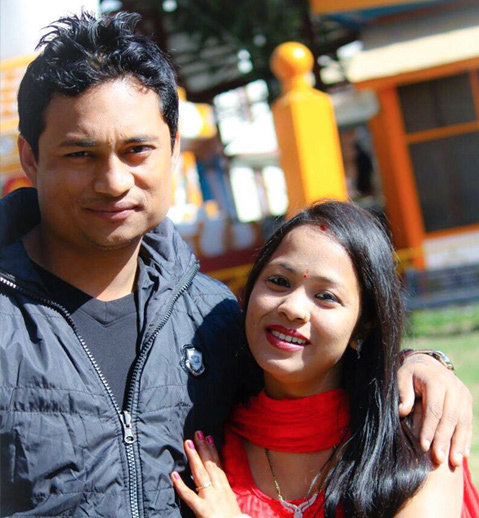 He is my perfect better half (SkY - Mr.Negi). Thank You Byoh.in (Genuine matrimonial site for uttrakhand community ). Hi, I would like to thank eUttaranchal Matrimony from the bottom of my heart, because it is through them I found my perfect life partner. This started in April 2017 when I had send a message which was accepted by him. After few days, my father received a call regarding marriage proposal and our family's conversation started. My father gave me his number on 7th April 2017 and we started talking, texting and video calling. On 27th June 2017, we met face to face for the first time and it was beautiful. We got engaged on 20th October 2017. After a year of dating we finally got married on 21st April 2018. It maybe an arranged marriage in papers, but it's love marriage for us. 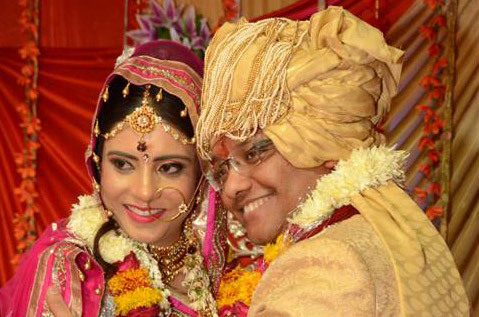 Everyone says matches are made in heaven but for us, it was on eUttaranchal Matrimony. Thank you! My heartiest thanks to the team of BYOH /Uttarakhand Matrimonial for providing this beautiful platform. 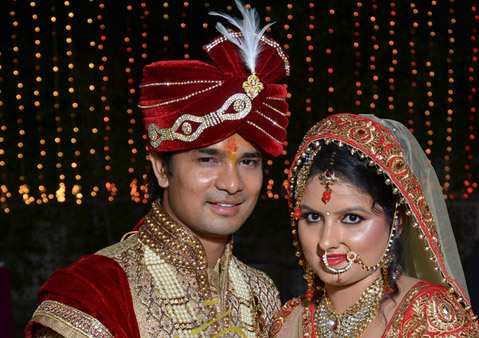 I met Kiran on this website and it didn't took us long to tie the knot. I would definitely recommend this site for genuine profiles from Uttarakhand. I've completed one month of my beautiful marriage on 9th January, 2018. I'm thankful enough to the eUttranchal Matrimonial for helping me out to get my perfect Soulmate. 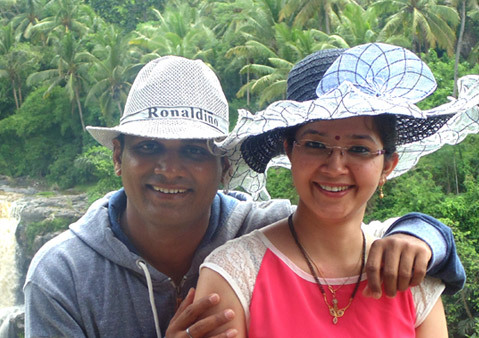 I never imagined that I would find the most perfect life partner on a matrimonial site. Meeting him has changed my life and I don't remember when I started falling for him. When I received a request from this guy named Nikhil on 22 June, 2016, I was very confused whether to take it forward or not. 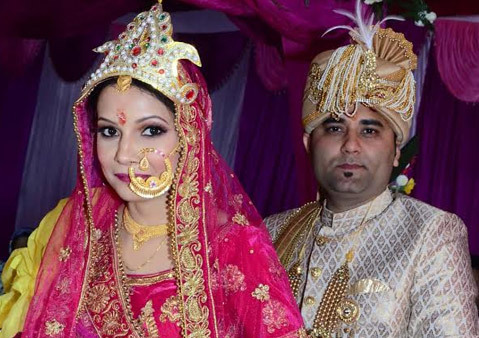 I who was already ready to go for an arranged marriage, thought it would be like any other arrange marriage. We will talk to each other for some months and then will get engaged and get married. But we met and I liked him in first meeting. I could connect with him in our very first meeting but we both wanted time for this and then we kept it slow and continued meeting on weekends. After few dinners, and lunch and movies we started getting along smoothly and then we communicated the same to our families. We both were feeling each other importance. Not sure when this arranged marriage turned into Love. I don't think I have just found my husband I have rather found my best friend for life. God has his own ways. Thank you for helping me to find my love. Now we are sharing the beautiful time of our lives together. Let the Love Blossom. Being settled in Mumbai, I never thought my search of life partner would take me to a beautiful place Almora. This was an arranged family meeting in Ahmedabad on 15th Nov 2015, yes which was the day I saw her for first time :) That very moment i knew she was mine. We exchanged numbers and started to know each other. I believe that marriages are made in heaven. We keep meeting that same person in every life. Falling in love with her again and again is a nice feeling. 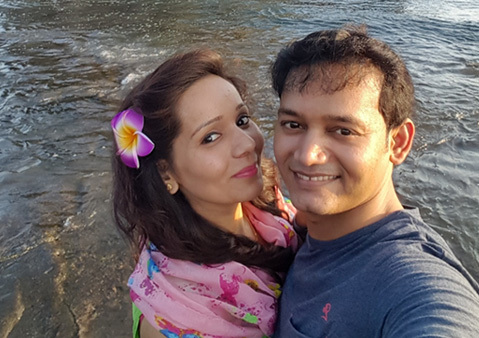 Wanted to convey eUttaranchal team a big thank you for playing Cupid :) We got engaged on 21 Jan 2016 and married on 23 April 2016. Very much in love. First of all thanks alot to you all for coming with this website dedicated to Uttrakhandi people around the globe. 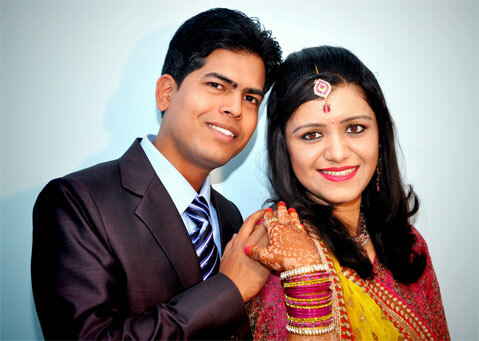 We met through Byoh (eUttaranchal Matrimonial) and in coming winters would be getting married as we are engaged now. The website is much better compare to other websites. Thanks team. Heartily thanks to eUttranchal and its team members. I feel I am the luckiest girl in the world who got him as a life partner. We met and within a month we got married. I express my gratitude to eUttaranchal Matrimonial that they gave a platform to meet Naren with a beautiful soul. We lived in the same city and yet our path never crossed. 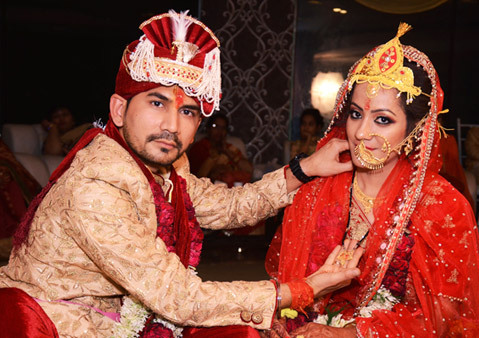 Initially I didn't like him much due to his intriguing and questioning nature but on the day of marriage the moment I stepped into mandap something changed in me and I kept staring at him. That day was magical and it remains with me. I am happy to live my life with him as FRIEND. He make all possible efforts to keep a person with a lot mood swing smiling and happy. Thank you eUttaranchal! I would like to say thanks to eUttaranchal Matrimonial & its team members for giving me life's most precious person, who is my husband. 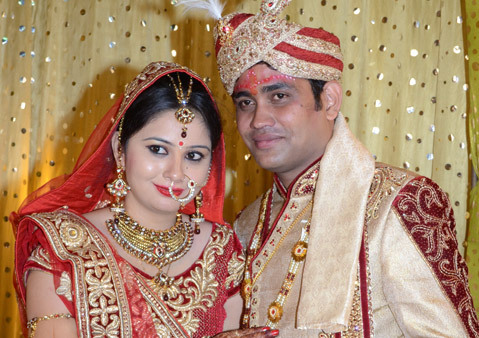 We got connected in Februray & got engaged on 14th March 2014, and got married on 29th Nov 2014. We are happily married now & living ourselves to the fullest. Many-many thanks from the bottom of my heart for helping me find my soulmate at eUttranchal Matrimonial. I want to say thanks to the entire team of eUttaranchal Matrimonial for giving me opportunity to meet my soul mate through this site. I never believed a perfect soul mate can be found online but it has been proved through euttranchal.com. 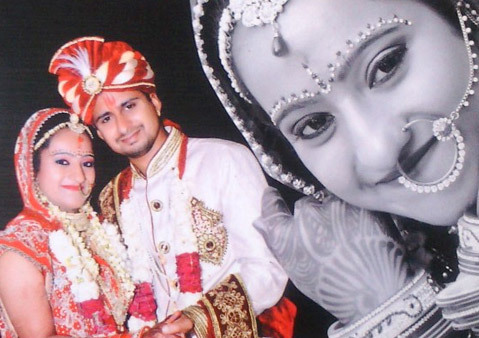 We both got to know each other through this matrimonial website and found ourselves"Made for each othe". We both are very happy and would like to thank a ton to all the support that we received from your site. With Best Regards. Marriage is a bond made in heaven, but real struggle comes in lay when you have to find your better half in this world. You won't feel that connection with a person even though everything just seems alright yet you can't give up and you try all available options to try and find the one "Made for you"
We had our fair share of inhibitions on finding our life partners through euttaranchal.com. For Me, It was a mixed emotion where I got to know people from different domains, with very different outlook on life and having different ambitions in life. I was searching for my life partner for 4-5 months, in between I talked to many guys but couldn't find my soul mate and I was about to quit finding matches through euttaranchal but then I got request from sushil on 19.06.2016 and I thought to give one last try on e-uttaranchal. When I first talked to him over phone, it was like is he one I want to fall for and I felt that he was feeling the same. I always wanted a man of simple thoughts and down to earth and in sushil I found the same (it was like I have found my weirdo). He made me realise that we made for each other. it was like we are complementing each other. It is not like all of our hobbies and interest match but the best thing is we respect each other's. 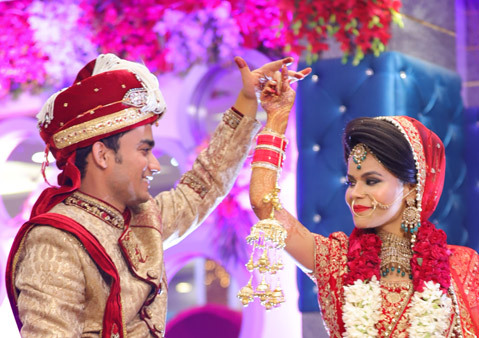 For Sushil, it was his early days on site that we connected and started talking, and believe me when I say that it always felt as he is the one for me and we were ready to accept each other exactly the way we were- No alterations needed. 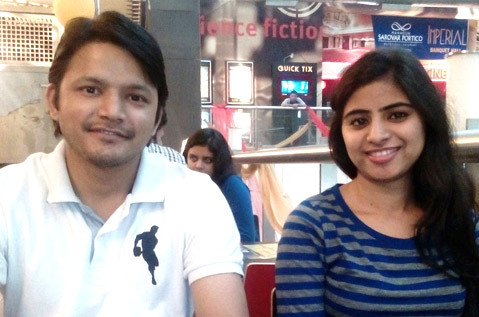 It was very tough for us to meet because I was residing in Ghaziabad and he was in Hubli, Karnataka. So, we used to talk on phones, then we decided to meet in Pune. After One and half month of talking only on phone and some skypes, I was about to meet him. I was feeling like what would be his actual behaviour and other things in real like and I found that he is the perfect weirdo I was looking for. After that everything goes smoothly. For him, I was the first match from e-uttranchal and for both of us, it was like we are complementing each other. It is not like all of our hobbies and interest match but the best thing is we respect each other's. We took our time to be sure about this and know more about each other but we always knew it's going to be two of us making a life. Our families met and we decided to make a big happy family together. We have had our courtship period and explored annoying things about each other that made us fall for each other even more. So If you are being impatient on not finding the "right one" for you- Hang in there, you have to dive in deep to find the treasure to keep, give yourself chances and you would certainly feel that bond , that connection you never felt with anyone else. Just be true and stay open on compromising on little things for the sake of Love. Cheers to a love filled beginning of a chapter. Thanks EUttaranchal for making us fall in Love. 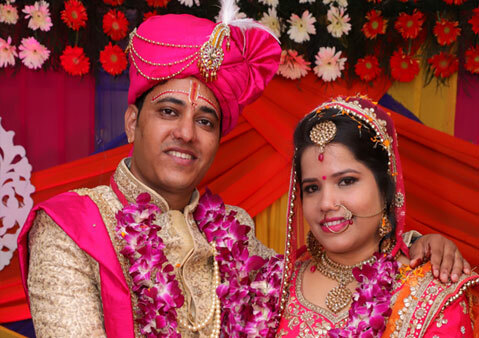 I would like to say heartiest thanks to eUttaranchal Matrimonial & its team members for helping me find my life's most precious person, my husband. We got connected in December 2014 & we started to communicate over the phone and simultaneously got our horoscopes matched. 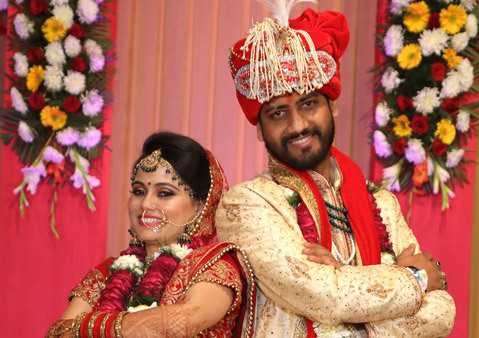 Once the horoscope matching was positive, we continued to talk over the phone and decided to meet & got engaged on 26th january 2015, and got married on 18th October 2015. We are happily married now & living ourselves to the fullest. 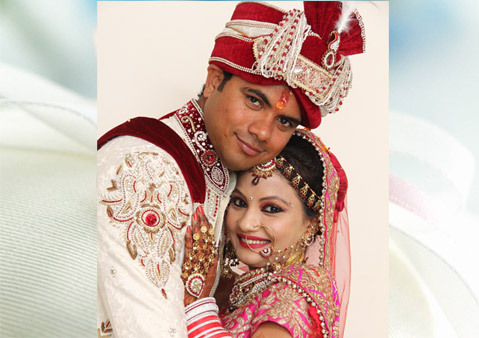 Many-many thanks from the bottom of my heart for helping me find my soulmate at e-Uttaranchal Matrimonial. I want to say thanks to the entire team of eUttaranchal Matrimonial for giving me opportunity to meet my soul mate through this site. Thank you from the bottom of my heart for helping me find my soulmate at eUttranchal Matrimonial. I want to say thanks to the entire team of eUttaranchal for giving me opportunity to meet my soul mate through this site. I never believed a perfect soul mate can be found online but it has been proved through euttranchal.com. 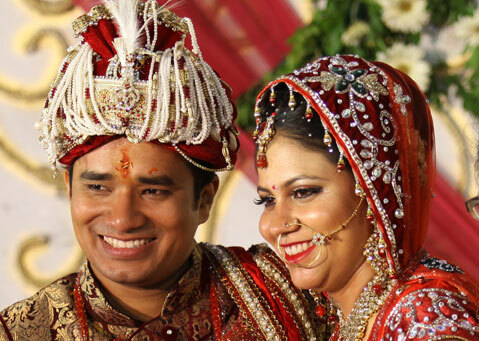 We got married on 9 March, 2015 & now we are starting a new journey which would have been impossible without this platform. 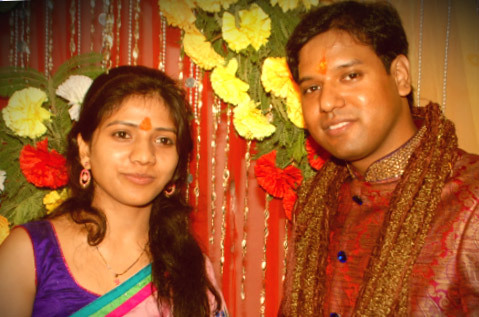 Hi all I would like to thanks to eUttaranchal Matrimonial for help me to find my better half. Wish you all and best of luck. First of all a hearty thanks to eUttranchal (byoh.in) to help us in finding a suitable match. Things work out very well; we started to communicate over the phone and simultaneously got our horoscopes matched. Once the horoscope matching was positive, we continued to talk over the phone and decided to meet. 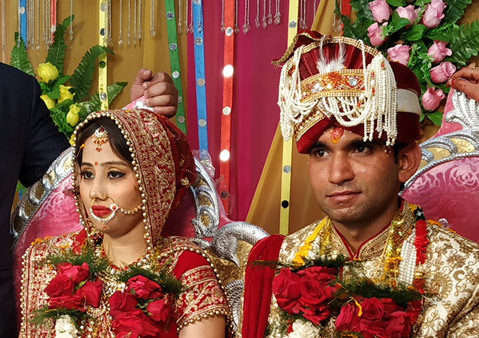 Finally got engaged on 6th June 14 and got married on 26th November-2014 and staying happily together. I got a perfect match for my son Ashish through eUttranchal Matrimonial.I am very thankful to euttranchal. Hope,everybody finds their perfect match here at euttranchal. With best regards. I am very thankful to eUttranchal who became a medium to meet my life partner. Thanks e utranchal for finding a prefect partner for my son. 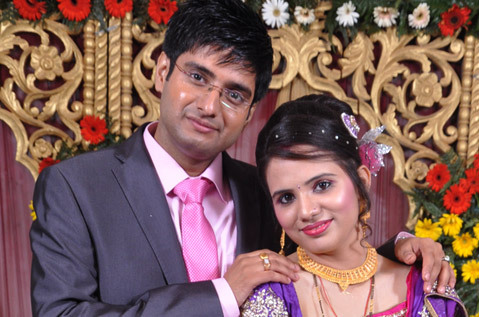 Entire team of eUttaranchal Matrimonial is doing a noble work.